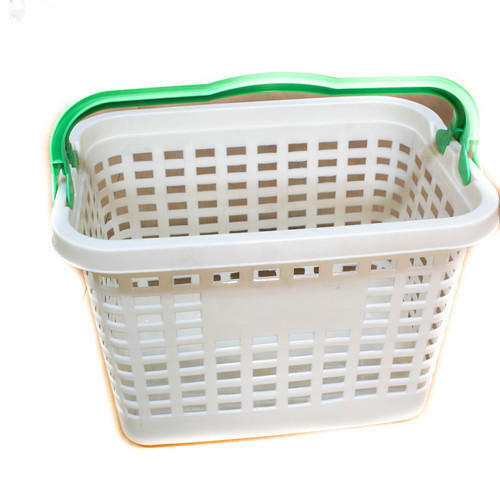 In order to keep pace with the never-ending demands of customers, we are involved in offering a wide range of Shopping Hand Basket. We are Racks Manufacturers & trading plastic baskets & ss trolleys. We “Kriti Udyog” take pleasure in introducing ourselves as leading firm involved as the manufacturer of the superior quality range of Storage Rack, Shopping Basket, Supermarket Accessories, Supermarket Stand and Supermarket Rack. It was established in the year 2010 at Vasai, Maharashtra. Under the proper supervision of our professionals, we are successfully going ahead in this competitive industry. The superiority of whole range is precisely examined on well-defined norms before final dispatch. Our main center of attention is the maintenance of quality in products and for which, we have adopted strict policies, measures as well as guiding principles that have been suggested by industry for quality.